Learn more about Caramac (Nestlé) at Snackabase.com! 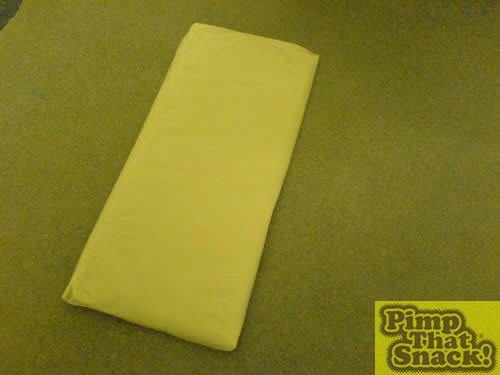 Being big fans of the site, my girlfriend and I were keen to Pimp our first snack, and one of our personal favourite is the Caramac bar. Whilst making the bar was easy to do by melting down many, many bars, the tricky bit was the writing on the bars themselves!! 1. The first step was to melt the bars of Caramac down into liquid form, as we needed to make 6 individual bars (Giant) we used 2 ½ normal bars. 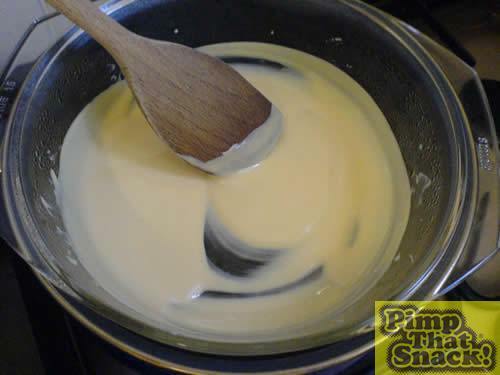 Using saucepan of water with Caramac on top, melted down to liquid (smelt amazing!). 2. 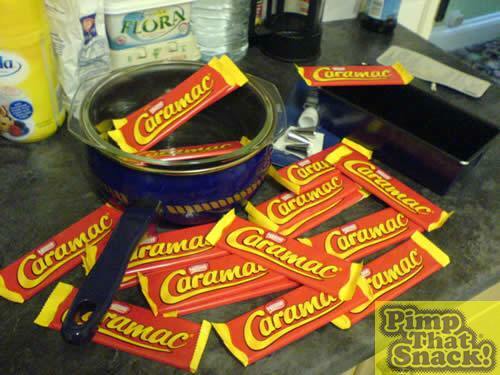 Next the liquid Caramac was poured into the rectangle baking tin with baking paper inside (key to getting out!) 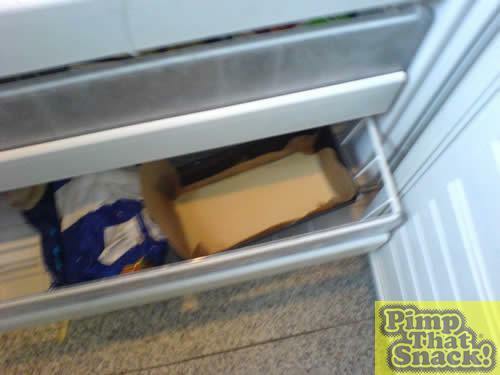 and put in the freezer for 10 mins to harden up. After 10 minutes the mixture should be set, take out of freezer and remove from tin, is very fragile and can break easily!